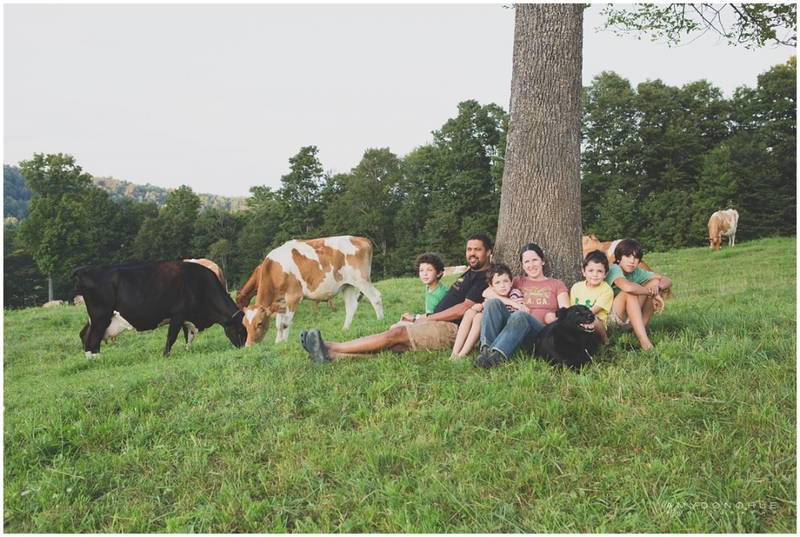 Earl Ransom grew up milking cows on this 600-acre farm. He and his wife, Amy Huyffer, carry on his family’s tradition of managing the land organically, with no herbicides, pesticides or chemical fertilizers. Our herd of 50 mostly-Guernsey cows grazes on rotational pastures for the entire growing season. Guernsey cows are known for their rich, yellow cream; their butterfat carries the color and flavor of their feed better than that of other breeds. Everything we do, from the crops we grow for them to the gentle routines of milking, is focused on their comfort and well-being, and helping them super-tasty milk and cream. We process our milk into reusable glass bottles, using HTST (High Temperature, Short Time) pasteurization which we feel best preserves the flavor and texture of the milk. Our milk is available at natural foods stores and coops throughout Vermont and Western New Hampshire in skim, 1%, 2% and whole, chocolate and half-and-half, as well as a non-homogenized, old-fashioned cream-line milk. Find a store or restaurant near you that sells Strafford Creamery products. We make our ice cream in small batches, one day each week. We wouldn’t dream of blending our cows’ cream with anything but the highest-quality organic ingredients. We separate fresh eggs by hand, handpick the mint and black raspberries, grind the coffee just before we brew it into the milk and basically work our tails off to make the best ice cream on the planet.